When practicing, replicate as much as possible the conditions that you will face on test day. If running a marathon, you would not wear brand new shoes on race day. You would need time to break them in and get used to them. Similarly, make sure that you get used to the approaches required on test day well in advance. Taking multiple practice computer adaptive tests (CATs) is an essential part of your test preparation. Approach these CATs as you would the actual test. Allow enough time to complete each test in one sitting, rather than using the continue later feature that some tests offer. Although many tests do not time your breaks, stick to two 8-minute breaks. Rather than using a pencil and scratch paper for your notes, use whiteboards and a dry erase marker, since this can take some getting used to. You cannot talk out loud in the testing room, so you should not do so when taking CATs. It can be helpful to verbalize important points while working on a question (e.g. saying “positive integers” when you read that in a DS question helps keep that critical fact top-of-mind when evaluating the statements). So we recommend very softly mouthing the important points to yourself instead. Most practice tests do not grade the analytical writing (AWA) section, but write out the full essay nonetheless to help build the endurance required on test day. It is essential to let the essay wear you down a bit before approaching the math and verbal sections, plus it’s good practice for the AWA section. For CATs that lack an essay component, pick a topic at random from the official list and write an essay on your own for 30 minutes before starting the CAT. Use only the basic cut, copy, paste, undo, and redo features of your word processor, consistent with what is on the actual GMAT. Similarly, for tests that omit Integrated Reasoning (IR), first work through 12 IR questions (e.g. from GMATPrep or the Official Guide) or write a second essay. Use your CATs to practice your pacing and time management skills. Since there is a huge penalty on the GMAT for not completing a section, get used to finishing all questions within the time limits. On the other hand, if you finish with lots of time to spare (perhaps in a rush to just get the practice test over with), unless you score very high you should slow down to get more questions correct. Finally, practice taking some tests in an unfamiliar environment on an unfamiliar computer. For example, try some tests at a library and at a friend’s house on their computers. In addition to CATs, it is essential to practice with problem sets such as those found in the Official Guides. But rather than doing just a few problems at a time, whenever you get a few spare minutes, we suggest that you do problem sets in 75-minute blocks as you would on the real GMAT. Since many students have trouble with timing, getting used to completing 37 math questions or 41 verbal questions per 75 minute block helps develop your pacing skills. Furthermore, working in 75-minute blocks leads to more focused practice and helps build your endurance. As you work through problems sets and tests, do questions the right way as you would on test day. The objective of your practice is to improve, not to just slog through a certain number of questions per day. Students sometimes get lazy in their practice and approach problems inefficiently rather than applying the best techniques, because they know that practice questions don’t really count. But this kind of practice reinforces bad habits and is therefore counterproductive. Although it takes more mental energy to approach problems optimally, such practice will help you in the end. Thoroughly review all practice questions and tests that you take so that you can learn from your mistakes and improve. Except for advanced students who answer most questions correctly, the time spent in your review will probably exceed the time spent doing the problems. For each question that you answered incorrectly, where did you go wrong? Make sure that you fully understand the explanation for these questions. For each question that you answered correctly, did you approach the problem as quickly and efficiently as possible? If not, what can you do better on future problems? For concept gaps, you should of course study the concepts that you are not fully comfortable with. For careless errors, which are particularly common for advanced students, you may need to slow down to read carefully and check your work. For other types of errors, you need to focus on your approach to problems. Strive to avoid repeating the same types of mistakes as you continue in your practice so that you can minimize errors on test day. As you work through more and more problems, watch out for patterns. 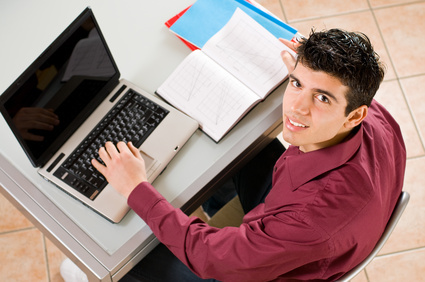 Although lots of content is tested on the GMAT, the content tends to be applied to questions in certain ways. GMAT questions are not fully predictable, but you can often anticipate what a question is looking for or what approach is optimal if you have seen enough similar questions before. The more adept you get at recognizing patterns, the better your intuition will be on test day. Since the GMAT has a challenging time constraint, intuitively knowing the best way to attack problems can be a huge time saver. Reserve specific blocks of time in your daily and weekly schedules to do practice problems sets and diagnostic tests. It is too easy to get busy with daily affairs and let your practice fall by the wayside. But without continuous practice, your GMAT skills will not improve, so make sure that practice is part of your daily planner. When it’s time to study, eliminate distractions and focus only on studying. Let phone calls go to voicemail, ignore text messages, turn off the music, and put a do not disturb sign on your door. If you are doing a computer-based test, shut down your e-mail and IM programs, and close all other tabs on your Internet browser. As will be the case on test day, your total focus and concentration should be on the GMAT questions you are working on. Practice on problems that are appropriate for your skill level, and work your way up to more challenging problems. Tackling difficult material and problems from the get-go will most likely lead to frustration. You need a firm grasp of the basics before you can learn to apply concepts and approaches in more subtle ways. As your skills improve, don’t become too comfortable by doing questions of the same difficulty level. You must slowly but surely work up to more difficult questions to challenge yourself to get even better. As you become capable of more difficult problems, however, be sure to do some easy and moderate problems as well. This helps boosts your confidence by reminding you of your capabilities. Plus it’s good practice since you don’t want to forget the basics. Maintain a positive can-do mental attitude, since negativity tends to build on itself. As with The Little Engine That Could , positive self-talk can build confidence and propel us forward. If you struggle with certain GMAT concepts, verbally reminding yourself of your strengths in other areas can boost your confidence. Even if you don’t initially feel confident, you will unconsciously begin to believe your positive mental messages. As a result, your confidence will rise and your performance will improve. Although it may sound corny, numerous studies show that visualizing success in advance of a challenging situation helps build confidence. Think of a situation in which you feel totally confident and at ease. Then switch your mental imagery to the GMAT testing room and imagine feeling the same way. Envision yourself answering GMAT questions calmly and confidently, and picture the joy you feel in receiving a great score. Visualize your success with tangible detail to create a vivid and compelling picture in your mind. By linking action and outcome, you cement a cause and effect relationship in your mind that will help motivate you. You cannot excel on the GMAT if your body gets run down by test day. Similarly, your studies cannot thrive if your body is deprived. Make sure that you get sufficient sleep; don’t sacrifice sleep by staying up late or waking up early to study. There is no point in working through practice problems if you’re just going through the motions without the attention span necessary to perform well and learn. Our body needs to be well-rested for our mind to focus and learn effectively. Eat a healthy, nutritious diet. Our body needs to be well-nourished to operate at its peak. 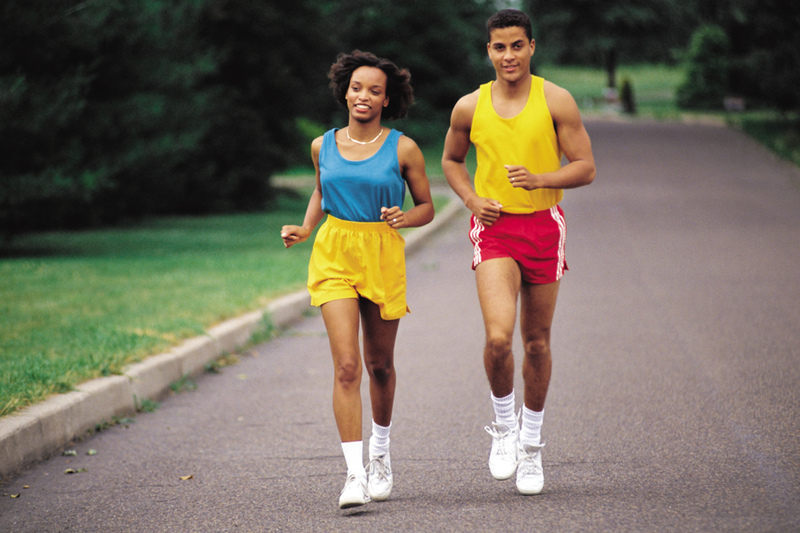 Exercise, since physical activity promotes mental sharpness in addition to building physical stamina. Also take steps to reduce harmful stress. Although the positive stress associated with taking on a challenge can help us achieve our goals, stress can become harmful if it leads to anxiety, tension, or lack of focus. Fight this negative stress with relaxation techniques such as deep breathing, stretching, mediation, and laughter. It has also been shown helpful to unburden your mind by writing down your worries. Keep your sense of humor and remember that although important, the GMAT is just a test, not a determinant of your life’s worth.